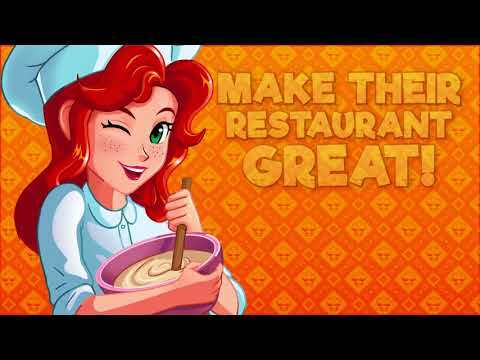 Your master cooking skills are needed now!Not every chef is as talented as you, so they need a hero so save their restaurants from turning sour! Be fast and dash from kitchen to kitchen, cooking and assembling everything from the most simple to the most exotic dishes in all kinds of restaurants!Be a real chef hero and lend your cooking and time-management skills to your fellow cooks: after saving their businesses, you’ll be more famous than any TV celebrity chef!🥓RUN THE KITCHENPut on your white hat and cook tasty dishes from diverse cuisines in more than 600 sizzling time-management levels!🥓SAVE RESTAURANTSUse your spicy culinary secrets to end the nightmares of chefs in distress, sprinkling new life into various restaurants ranging from casual to super fancy! Seafood, arabian, mexican, burger and even coffee shops can benefit from your master cooking skills!🥓IMPROVE YOUR KITCHENUpgrade your cooking appliances as you drive every restaurant’s profits through the roof and prepare to take on juicy challenges that will put your talents to the test!🥓PROVE YOURSELFPrepare the most complex recipes in the menu and show the world you can reheat any cooking business you put your spoon into. Your success stories will make the news and even TV master cooks will want to take hints from you!Be fast and efficient to dash across the kitchen and prepare every dish with international cuisine quality and in record time! Serve the customers with expertly presented meals and put the restaurants you save in all the fancy restaurant guides out there!Use the coins you’ll earn from your thankful struggling chefs to buy master-level cooking appliances and become an even more efficient chef hero. You won’t believe how fast you’ll be preparing mouth-watering dishes for your demanding clients!Your fellow chefs are counting on you and there’s no time to waste: get cooking right now!Please note! This game is free to play, but it contains items that can be purchased for real money. Some features and extras mentioned in the description may also have to be purchased for real money.